It would appear that Switch players in North America will soon have another way to track down their favourite physical games released by Limited Run Games, with retailer Best Buy set to carry stock of select titles. 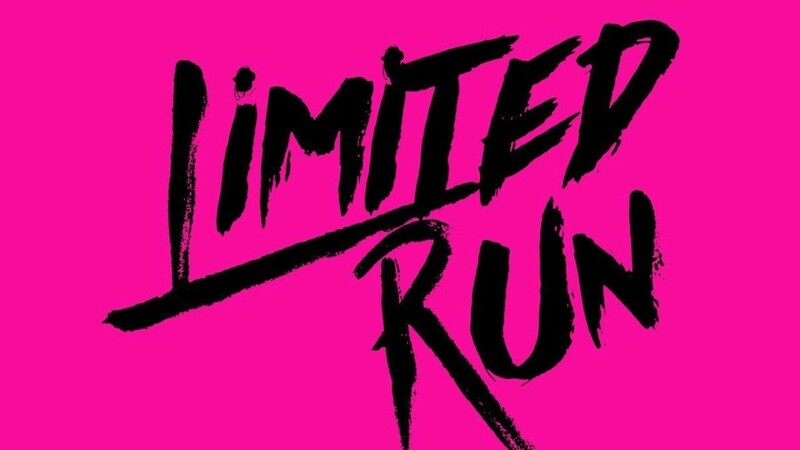 As you may already know, and as the company name suggests, Limited Run Games offers a variety of indie games on Switch in physical form, but each release has a limited number of copies produced. In the most popular cases, these games can be a little tricky to get ahold of, especially if you're not around to pre-order your copy when the products go live. How Best Buy will be managing stock, and whether copies will be available in stores, online, or both, is currently unknown, but Josh Fairhurst, owner of Limited Run Games, has confirmed that Golf Story, Yooka-Laylee, and an "unannounced game" will be available by November/December. Fairhurst has also confirmed that the Best Buy editions will still be numbered (so Yooka-Laylee will stay say 'Limited Run Games #013' on the back like normal copies, for example), and that the team will release a definitive statement on this partnership in due time to explain all. If you're interested in the idea of picking up these games from Best Buy in the future, make sure to stay tuned. Do you think you might treat yourself to some physical indie games from Best Buy in the future? Let us know with a comment. They just have to put them on Video Games Plus an we Europeans will be able to buy them too without paying astronomical shipping costs. Because Limited Run Games' prices are already a little high. This seems like an odd move that flies in the face of their original business model. Honestly, I'm a little irked by this considering I bought Yooka Laylee for Switch from their online store as I was under the impression that it was the ONLY way to secure a physical copy and now they pull this. I could have saved on shipping among other things if I had known this was even going to happen. If they are getting big enough to do this, they should drop the "limited" BS and just become a regular publisher (like Xseed or NIS America). Sorry but I'm a little ticked as this seems kind of dishonest to their loyal customers. @TreonsRealm I've never understood the attitude of being upset when other people are eventually given access to something that you already have. At the time, it was the only way to get a physical copy. But since then, the company has grown and is looking into new distribution options. There is nothing wrong with that. If you're happy with the game and thought it was worth what you paid for it yesterday, then nothing you've learned today should change that. I wish they would find a UK partner to sell their games through as the import tax and delivery costs are stupid. @TreonsRealm I'm still waiting on my copy of YL from them but they were very transparent about the Best Buy situation on YL before any pre-orders went live and advertised it on their emails, social channels and the website product page. @TreonsRealm I understand your frustration but if I recall correctly, they shifted their business model for Switch releases from the beginning by offering the standard editions for an open preorder period of 2 weeks. Only the collectors editions have been on their original model of a set numbered amount. I’m curious to find out how many copies of some of these standard editions they’re selling. I would be more tempted if they were a bit cheaper. Even with my discount it's still like $15 to $20 over what a sale would be. I dont need physical that bad. Limited run and a bunch of money grabbing jokers who have moved so far away from what they stood for it’s almost unbelievable. @Razieluigi I'm not upset at others having access to the game, I'm actually thrilled that more people can now get it as that is much better for Playtonic and fans. I am also quite happy with my purchase and had specifically bought it to support Playtonic and I generally do like Limited Run (although their business model has a habit of creating a seriously heinous scalping market). If Limited Run wishes to switch to doing things a new way, that's fine but it should have been more clearly announced ahead of time and not used titles that were just finished being sold as part of their limited set. They actually did something similar to this with their handling of Oceanhorn for Switch and even removed it from their numbering system and gave it a much longer pre-order and co-published with FDG Entertainment (all of this was made clear on the product listing for that game). They make a big deal of their "Limited" way of handling things in interviews and documentaries and go as far as doing the whole numbering thing but this was an odd move considering their past. I do like that they don't pull the same super limited windows for Switch that they pull with PS4/PS Vita titles which I've never agreed with. @Rob3008 - They did not make it widely clear that this was part of the plan and as close as 10/6 (orders ended 10/7), they didn't have it locked down. They may have said this in other places but their product page on the site didn't make this known. To be clear, I'm still happy I and many others were able to get the game physically, I'm just not agreeing with how they've changed things after the orders were done. Honestly, I'm more curious why Team 17 didn't publish it physically as they did for the PS4/XB1 versions. This makes me more upset for Switch fans as the whole limited thing seemed like a way to strong-arm physical Switch fans into paying an inflated Switch tax for the game (a game which was $40 at launch on PS4/XB1 and are now $20). I hope one day, they (and Super Rare Games) will offer games MOD (made on demand). Perhaps it goes against their original business model but at least that way, they can offer games to people who want them and not have a warehouse of excess stock that's not selling. Everytime I hear about a game I want finally getting a physical release, I'm always disappointed that it's being released by them. I know that without them, the game may never get a physical copy but the cost of the games, and shipping to Australia, is just too steep. I like to be able to buy games when I've got the money and they just never come at the right time. "NINTENDO REQUIRES ORDERS TO BE PLACED TO THE NEAREST 1,000 UNITS. AT 6PM EASTERN TIME, WE WILL SWITCH STOCK OVER TO WHATEVER QUANTITY GETS US TO THE NEAREST 1,000." "There is no limit on this item. Orders of 30 copies (or multiples of 30) will ship in factory sealed case packs." Since the standard editions of games are produced to demand, an independent retailer could very easily place their own order for some dozens, hundreds or thousands of copies to stock exclusively on their shelves perhaps with a profitable markup, be them a small mom & pop shop or a big chain. That might be exactly what is happening here, and I think it's great for anyone hesitant about purchasing games online from a small site they're unfamiliar with. This is the beginning of the end for limited run games. They are releasing more and more games. It is becoming more quantity over quality and eventually people will stop buying. Not that it hurt me they're selling in brick and mortar store. But... having known, I would have waited for Golf Story. The fact is the "LIMITED" factor is an appeal. Now it seem like it won't be that much limited for select titles. As a collector, it's an headache not knowing how many copies they sold yet, as pre orders open for 2 week. I wonder too if they'll re-release past switch edition say... if best buy order like 30 000 of west of loathing as an exemple. Should be hard to resist a pile of money. The problem is Best Buy will probably make their copies available for purchase before people even receive theirs in the mail. I'm happy to see this but I already have them pre-ordered through Limited Run. The biggest disappointment is that I could have avoided shipping costs and would have gotten my GCU discount. I'm not going to be bitter about it though. I already own both games digitally as well so it's my own fault. @Bunkerneath Have you previously bought from Limited Run and had to pay an import tax? I only ask as I live in the UK and have Dust pre-ordered. Considering their crazy expensive shipping costs to the UK, and the fact that orders once placed are deemed final by them, I am weary that I will end up having to pay the dreaded import tax too. I've had my fingers burnt before in regard to import tax after ordering a Zelda Nedoroid figure direct from the Good Smile Company. LR's Switch offerings are always pre-orders which have no limit. There are, however, the special bundles and packages that they do put a limit on, but that's not for the stand-alone game. It's a good move. I think LR makes a good publisher for the indie developer. These games are always a tad too expensive for my liking, I have bought games through Best Buy like Dead Cells before but that was mainly because of the Gamers Club Unlocked discount. If more games like this come to Best Buy if I really want it physical I may get it, I have no interest in purchasing from Limited Run Games itself though. Apparently NL pissed off LR with this article because they rushed it out without proper information. You can get some answers looking at Josh's Twitter threads. @Mayor_Haggar aren't you too busy dealing with Mad Gear to be playing video games? @Razieluigi It's because in some situations the conditions under which the original purchase was made was maybe made with consideration given to those conditions...meaning I might have preordered something ONLY because they said NO more copies would be available, and therefore was cool with paying shipping, etc. If they want to make good on this, they should really drop shipping charges off of those orders. @TreonsRealm I was thinking along those lines — especially since I still have the Gamer Club discount for another 10 months. But then again, it could put the games at BestBuy at a higher price point, making things better for those who bought the games directly. @TreonsRealm You're contradicting yourself. You are saying you are not mad that Limited Run is now letting other people buy the games so they can be happy and enjoy them too. Then you go and say you are upset Limited Run changed their mind and they are letting other people buy stuff, you thought other people wouldnt be allowed to buy. Who cares. Stop treating gaming like it's some kind of investment, or you don't want to share your toys or something. You bought the game for yourself. Other people will buy it for themselves. No big deal. Good grief, that kind and of mentality ruins collecting. The point of collecting is to collect. Nothing stops you from collecting when other people are able to collect the same item. It makes the community larger and stronger when we can all share in the same things. So LRG may have gone back on their word... But was it for a negative outcome, or positive? It was definitely positive, but you act like it's negative. I'll probably cancel Golf Story. It was my first and only Limited Run purchase. I don't hold any ill will toward Limited Run, it sounds like these games are still quite limited, but with Gamer's Club and the lack of shipping I should be able to get this game closer to it's full price on the eshop. If I miss out on getting it at Best Buy then there is a shop down the street from me that sells these as "Store exclusives" for not much more than what I paid on the website. I already ordered both games from LR but curious to see what the unannounced game will be! Kudos to Best Buy!! @DarkLloyd They sent out an email today that they will honor cancellations for Golf Story only because they didn't let people know that Best Buy might buy stock of this title. This may actually cause me to buy something of theirs. Golf Story is kind of tempting as it's like old GBC era Mario Golf. YL though, $40 is high for what it is and age, I get they have their margins, but BB is known for some of their weird sales and cuts so future angle to get a good price vs ebay battle grounds combat. Yaaaaaay! The only people butthurt are collectors who feel that more releases devalues their collection. I could care less. You want to invest, buy a stock. Games are a terrible idea as an investment. Just play them. @Dang69 Oh, that's ridiculous. People don't get this butthurt over the cost of shipping. If that were the case, it's absolutely no different than a game going on sale a few months after release. Most video games, Limited Run or not, can be expected to cost less a few months out from release. Stop coming up with fake reasons to be upset. What's really bothering you is that you feel less special now that other people can have what you already do. I get why people might be a little upset with this. We are dealing with economies of scale, here, and the consumer has to really weigh the benefits of a physical release against the high cost that Limited Run has to charge to keep in business. Personally, if you want more physical releases of these smaller games, you really should consider supporting the company in whatever they are trying to do to continue their success. I mean, relationships like these give incentive for them to take more risks and possibly make more deals to bring other small games to physical. Digital downloads have a stark, stark advantage for meeting the needs of niche fans, and it is pretty great to see small developers make more varied games and players getting specific types of games they enjoy. Physical sales just don't match that model very well, yet, and Limited Run is trying to figure out how to make it work. That's big picture, though. I get why someone might be miffed that they could have waited a week or two and saved $10-$20. That's natural. Not everyone has enough disposable income to make that painless. No the bigger picture is LRG buyers thought they got a good deal but turns they got had instead. Now for CE versions if they come to BestBuy that will cross the line why make it limited if you now sell them through BestBuy regardless. If you make such deals then you should let the prior buyers the option to cancel and buy them through BestBuy. Also I suspect this was 2 years in the making so this wasn't something that happen overnight. LRG should come clean on this as well. If I posted this on LRG they'll probably delete the post. @Razieluigi Internets outrage commentary is getting ridiculous. I'm not butthurt. I even ordered Nighttrap from them even. Nice people too (there's a great Retronauts interview with the dude who started it). What I was saying was, thinking inside of the heads of people upset, I can see why they might be. Limited Run exists off a promise - a promise that THIS IS THE ONLY way you can get said product, and yes you have to pay extra for shipping. Some people get points and discounts at Best Buy. I can't remember if I paid 4 or 6 bucks for shipping for Night Trap. If BB sold that game at 30 bucks, a customer could have gotten it for 26 dollars. With 4 bucks shipping, they would have paid 34 for this vs 26 for a theoretical BB Night Trap. STILL NOT a big deal. But, the promise of "it is available in a limited fashion thru Limited Run only in preorder as a one time deal," I can see how that may rub people the wrong way. Dude in the Retronauts interview from months ago even speaks to this. So personally, I don't care, but I can see why some ppl got rubbed wrong. @Tipehtfomottob they pay the tax for you. They have tweeted to confirm this. They also allow you to hold orders. I have 10 games on hold with them. They charged $5 per ordered I held (I usually buy on the day I can combine the switch releases) and then $15 to ship the whole lot. I just released my order as they are releasing too many so I have given up. To be fair Best Buy or any company could of just ordered 2000 copies each time if they wanted regardless of what LRG thought. At least with this partnership, it can be done in a controlled and transparent way. BB isn't even ordering a massive quantity according to LRG and plan on putting just a couple copies per store. They'll also receive their purchases around the same timeframe as everyone else, no special treatment. Overall most of the open preorders have been selling around 9k-13k copies so adding 5-10K (if even that) more isn't exactly breaking their business model or causing a flood of items added to their marketplace. Plus its only a few open preorder titles they have interest in so anything that is limited its fair game for everyone and most open preorders like Outlast aren't bothered with. @Daz-brum More reason for me to NOT want to import in Europe from them. It's an expensive enough proposal as it is to do so, let alone waiting for that ultra expensive copy for weeks and months and not having any news of my purchase. They haven't responded to my concerned email yet, like they say they will in their comments, but have done more press releases.